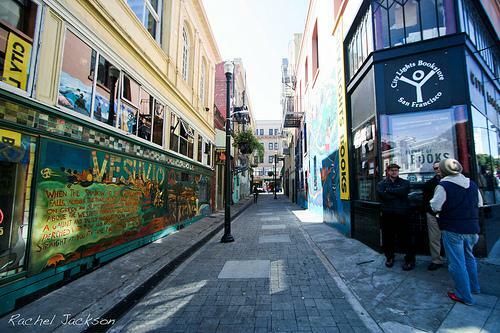 This tiny paved pedestrian alley was named after the famous Beat Generation writer Jack Kerouac who used to hang out in the alley a lot. This tiny paved pedestrian alley was named after the famous Beat Generation writer Jack Kerouac who used to hang out in the alley a lot. It was intended to form a literary (and actual) connection between the communities of Chinatown and North Beach. There are plaques embedded into the street which are engraved with Chinese and Western poems from Kerouac, Confucius and John Steinbeck among others.